If Louis Whitaker had played in New York, he'd have been considered tantalizingly aloof. He'd have been a modern day Joe DiMaggio---occasionally available for appearances but still mysterious and fiercely private. He would be heralded as "the quiet Yankee." Media types would be falling over themselves to get an audience with him. If Whitaker had been a New York ballplayer, and if he had conducted himself as he did in Detroit, he'd have been "Silent Lou" instead. And the more he withdrew, the more fascinated the press would have been about him. His Hall of Fame chances would have increased exponentially. If Whitaker had shunned a reunion of, say, the 1977 Yankees team that was George Steinbrenner's first World Series winner, the city would have shrugged and said, "That's Lou for you." Then the press would have marveled at his elusiveness. He'd have been Garbo and Howard Hughes and Jackie O, all rolled into one. But Whitaker played in Detroit, and so he's just kind of weird. Whitaker, it was confirmed, won't be helping out the young Tigers this spring training, even though he could do so and still go home for lunch. Whitaker lives in Lakeland, and yet despite being a baseball's throw away, he's sitting this one out, and maybe the rest of them. "That's true," a Tigers spokesman said. "He won't be in uniform. He won't be helping out." This, on the heels of Whitaker's willful lack of participation in last September's 25th reunion of the 1984 Tigers World Series team---something Lou said he wouldn't be doing way back in spring training of 2009. He turned out to be a man of his word. Whitaker, as a Tiger, was a man of few words, and there's no crime in that. He had an engaging smile, but didn't care much for the press. He was the anti-Alan Trammell in that department. Whitaker played 19 seasons for the Tigers (1977-95) and we knew as much about him after season No. 1 as we did after season No. 19. The man played nearly two decades in Detroit and he was a ghost. Whitaker didn't hang around town after the season. He didn't make any appearances on behalf of the team, unless he was forced to. He mingled not among his public. He was the anti-Curtis Granderson in that department. Whitaker was a sterling second baseman but a rotten ambassador for the game, and for his team. Maybe it was fitting. His double play partner, Trammell, always had a kind moment for the media and an affection for the city and respect for the franchise, even though Tram was a San Diego guy and liked his Pacific Coast time. Maybe it was fitting, then, because often times the great duos in history are total opposites. I have no idea why Whitaker won't be attending spring training this season with the Tigers, as he'd done from 2004-09. I have even less of an idea why he distanced himself from the 1984 reunion. But we wouldn't know those answers because Lou Whitaker never gave us any insight, never let us in, to have any idea of what he was all about. Not once, in the 19 years he played in Detroit. If he'd have been a running clock, he would have been a mysterious one without a battery---because we never knew what made him tick. New York is an esoteric, ethereal town. There are just enough of them in that city who glorify the sullen, the withdrawn, the hermit-like, to make you believe that those types are fascinating. But maybe they're just strange. Whitaker was always strange, to me. He belonged in New York, or Los Angeles, or maybe even Paris. He was one-dimensional, less than brilliant. He had no use for his public and even less for the very media who could have elevated him to Hall of Fame status, or at least to the level of kindred soul in Detroit. He looked at the 1984 reunion---the Silver Anniversary of the last World Series champion in Detroit---and sniffed at it. He told the Tigers no, some six months before the actual event. Maybe he had something else planned, like a nap. I have no problem with Lou Whitaker, the ballplayer. He was, once, one of the very best second basemen of his generation. He was one of the few who helped re-define what a leadoff hitter's role could be. Lou started games with home runs. Not as often as Rickey Henderson, but often enough to be one of the game's innovators. No one had done that before in Detroit with any consistency. But Whitaker could have been so much more in Detroit, and in the game. He seemed to have no sense of moral or social obligation to his fans or to his city. He was a commuter. So the fans won't see Whitaker down in Lakeland this spring. It appears to be of his own choosing. Perhaps he grew bored with it. I couldn't tell you, and I don't dare speculate, because no one knows Lou Whitaker. Because he never let us. The hard-living, hard-drinking first baseman was a star in Detroit. He thrilled the denizens with monster home runs, master glove work, and always gave reporters a dandy for the papers the next day. He might have been, after Al Kaline---or even before him---the most popular Tiger in town, were you to take a random straw vote. Everyone who played with Norm Cash knew he was a drinker---a heavy drinker. His managers knew it, the press knew it. But it was all a nice family secret. Of course, it was easier to keep such a secret in those days, when only a handful of beat writers and radio and TV people ran with the team. The truth came out years later, and by that time Stormin' Norman was off to other pursuits. Television beckoned for a while, until a mild stroke affected his ability to speak. Cash's Texas drawl was hard enough to decipher before the stroke. Cash's drinking was winked at, and certainly never tackled with any seriousness. I have no way of proving it, but from what I know---and I've been following Detroit sports for 40 years---Norm Cash never set foot in a rehab center. Then he fell off a dock up north---drunk, they say---and hit his head and was knocked cold, in shallow water. That's where they found his body, on that gray October day in 1986. Cash was 51 when he died, after a night of drinking at his cottage near Beaver Island. I wept when Cash was cut by the Tigers the day after my birthday in August 1974. He was my favorite Tiger, by far. Even to an 11-year-old, his gregarious personality had real appeal. 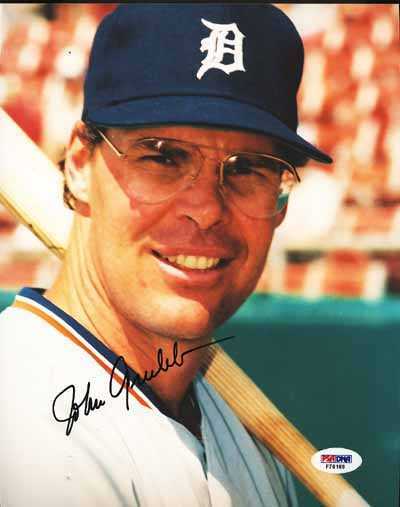 Jim Northrup once told me of his indignation at how the Tigers released his teammate. "I heard it on the radio," Northrup said. "And I think Norm may have, too. Anyway, Norm called (GM Jim) Campbell and Campbell told him not to come to the ballpark, basically." Northrup let his displeasure be known, and whether by coincidence or not, Northrup himself was excised---sold to the Montreal Expos the next day. Cash was hitting in the .220s with seven homers in about 140 at-bats when the Tigers let him go after 15 seasons. 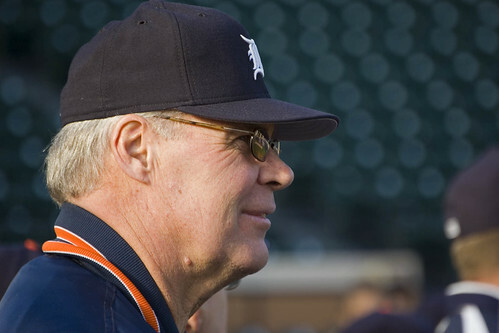 Admittedly, it doesn't take much to get me to think of Norm Cash, perhaps my most favorite of all the Tigers, but it's really not hard for me to think of him now, in the wake of Miguel Cabrera's public cleansing with the press yesterday at Comerica Park. I would think that even Miggy's detractors---and I've been one---are pulling for him in his struggle with alcohol consumption, which he pretty much admitted to fighting yesterday. The Free Press' Michael Rosenberg, a wonderfully talented writer with a good feel for the human condition, wrote a terrific piece this morning about the "new" Cabrera. "I think that's going to be positive for my life, for my family," Rosenberg quoted Cabrera, in describing the humiliation of his late-season drinking/domestic disturbance incident. "I feel good. I feel great." Cabrera certainly wouldn't be the first player whose hangovers kept him from hitting hanging curveballs. There is a reason that when former Cy Young Award winner Bob Welch wrote a book about his alcoholism, he called it "Five O'Clock Comes Early." Welch, a Detroit native, drank so much, so late into the night, that late afternoon arrived before he was ready for it. Nor was Welch the first player, obviously, who drank his baseball troubles away. And not even Norm Cash was a pioneer in that regard, either. All I know is, despite the stroke, Cash died far too young. Because of drinking, indirectly, and never having slayed that dragon. Miguel Cabrera is 26 years old. There must be some more moves coming. There must be some offense headed to Tigertown. Tell me it's so. If not, the Tigers have just signed the Maytag Repairman. When you need Red Wings tickets, Tigers tickets or Lions tickets, you want to buy them as soon as possible. Be sure to work with a ticket broker that serves the customer during regular office hours at least six days a week. From your friends at National Event Company. Do today's whippersnappers remember the Maytag Repairman? The guy who stood by, waiting for the phone to ring, so that he may fix a washer, or dryer, or dishwasher, or fridge? But the call never came, Maytag proudly said, because their products never broke down. The Tigers may have a Maytag situation, in a skewed, twisted way, developing. The team has signed closer Jose Valverde. Another JV pitcher, to go with starter Justin Verlander. Valverde has been trained in the art of slamming the door shut on opposing rallies. They called them "firemen" in my day. Then they became "stoppers." Now they're "closers." Call them what you like. But maybe add Maytag Repairman to Valverde's title. Valverde is a terrific closer, one of the best in the game. Now, if only the Tigers can get him something to close. The lineup is still a bunch of limp noodles. The Tigers offense is still Miguel Cabrera and the Eight Stooges. The batting order is crawling with .230 hitters who strike out too much. You could intentionally walk Cabrera every time he comes up to the plate and not do too badly with such a strategy. So what is Valverde going to close, besides his wallet every time he leaves the bank? Not that the bullpen didn't need some work after the fleeing of 2009 closer Fernando Rodney and his sidekick, Brandon Lyon. Not that Valverde's signing shouldn't be met with some enthusiasm. But after that dies down, and you really look at the Tigers roster, how many save opportunities is the new JV likely to get? Let's hope the reports that the Tigers are interested in free agent left fielder Johnny Damon are true. Through a spokesman, GM Dave Dombrowski says there has been no interest shown by the Tigers in the 36-year-old, lefty-swinging Damon. So where are all the runs going to come from? The Tigers lost their No. 1 and No. 2 hitters, Curtis Granderson and Placido Polanco respectively, through trades and free agency. Those two regulars will supposedly be replaced by two rookies---CF Austin Jackson and 2B Scott Sizemore. Good luck with that. 3B Brandon Inge is the most beloved .230 hitter the Tigers have had---ever. He's the Ben Wallace of the Tigers: gutsy, tough, and offensively challenged. Carlos Guillen, whose body is held together with zip ties and bailing wire, is set to be the starting left fielder. Magglio Ordonez will play right---not very well, but he'll play it. But at least Maggs might have some pop left in his stick. We'll see. Cabrera is Gulliver, and his teammates are the Lilliputians. Spring training hasn't even begun, and I already have a milk carton ready for the Tigers' offense to reside. But they have a closer. This can't be the end of the Tigers' Hot Stove activity. It just can't. Edgar Martinez didn't invent the designated hitter rule. He did better than that---he owned it. It's not his fault he was so good at it. Martinez, eligible for the Hall of Fame for the first time this year but nowhere near election (he was named on just 32.6 percent of the ballots; 75 percent is needed for induction), pretty much did one thing and one thing only. He swung the bat, and that was it. Maybe he didn't even own a glove. Or if he did, perhaps it was covered with cobwebs. Martinez was the first player in baseball history who seized the DH rule---an abominable rule but again, not his fault---and genuinely made a living at it. Before him, the DH was there for the aging and the infirm. Rolaids sponsored the relief pitcher award. They should have called the Geritol people for the DH. But Martinez changed that. And he made things easier on his managers in the process. It was with no resistance that Martinez allowed his name to be penciled into the lineup with "DH" next to it, instead of a position number. For many players, being a DH is tantamount to being emasculated. Gary Sheffield, himself a bona fide Hall of Fame candidate, despised being a designated hitter. He felt himself to be half a player when he didn't have a glove secured onto his hock. He was one of those who was a caged lion during games in which he DH'd. Too much down time. So Sheffield, with the Tigers in 2007, bothered his manager, Jim Leyland, so much about it that Leyland finally let Sheff play in left field. It was Gary's binky, so that Leyland could worry about other matters, like actually managing the games. Sheffield, at the time of his re-masculation---just past the All-Star break---was tearing up the league. His average was well over .300. He was shooting lasers over the left field walls with eye-popping frequency. He put the Tigers on his back for awhile, and the team had the second best record in baseball in mid-July. But then Leyland kowtowed and after only a few games in left field, Sheffield dove for a ball and messed up his shoulder. He wasn't the same when he returned to the lineup, and the Tigers fell out of contention like a shot down fighter plane. Edgar Martinez wasn't smarter than Gary Sheffield, nor was he any less of a player. He was just a different person. He accepted his role and made peace with it. Oh, and he just happened to be the best who ever did it, in the process. Martinez was, essentially, strictly a DH for the last 10 years of his 18-year career with the Seattle Mariners. Starting in 1995, Martinez played in no more than seven games in the field in any of his remaining ten seasons. Some players were born to do what they did in the game. I'm about to show my age again. Guys like Dave Philley, Gates Brown, and Manny Mota were born to pinch-hit. They could roll out of bed, stride to the plate bleary-eyed, and slap a base-hit to keep a rally going in the ninth inning. Brooks Robinson was created by God to make life miserable for right-handed pull hitters. What he did to Lee May in the 1970 World Series---if you did that to a person in life outside of baseball, you'd be arrested for grand theft and be sentenced to 10-15 years. Roberto Clemente was fitted for a cannon for an arm by the big guy upstairs, and did more erasing than a 12-year-old in his first Algebra class. And Edgar Martinez perfected the art of hitting, sitting, and hitting. You could do entire chores in the time it sometimes took between Martinez's at-bats. And his games weren't always played in the comfort of the Kingdome; the Mariners moved outdoors in 1999. And it wasn't always sunny and 80 degrees---especially in Seattle, where the sun is often just a myth; a tall tale to tell the kiddies. You think it's easy to go up to the plate, swing, and then sit down for 30 minutes? Or even longer? Other players had the opportunity to compensate in the field. Struck out with the bases loaded? Just go out and steal a run defensively. At least while wearing a glove, you had other things to think about. But again, Martinez turned his inactivity into a positive. When you have nothing else to do, why not study pitchers more? Why not swing the bat and take some extra hitting---during the game? From 1995, when he first became the Mariners' full-time DH, through 2001---seven straight seasons---Martinez batted well above .300 every year. He drove in 100 or more runs in six of those years. He clubbed anywhere from 23 to 37 home runs every season. He slapped 291 doubles---more than 40 per year---all over American League ballparks. He hit the gaps better than Jim Brown or Emmitt Smith. He was Jekyll and Hyde in the postseason, though. In 64 Divisional Series at-bats, Martinez had 24 hits (.375 BA), seven homers, and 20 RBI. In 64 LCS at-bats, he had only 10 hits (.156 BA), one home run, and four RBI. But Willie Mays had zero home runs in 71 World Series at-bats, so there you go. The Commish, Bud Selig, has called Martinez the greatest DH in the history of the game. In fact, the award for Best DH is named after Martinez. And you'd leave him out of the Hall? The Baseball Hall of Fame is there to honor the best who ever played the grand old game. The designated hitter, no matter what you think of it (I place it just below death and taxes as far as the inevitable goes), is nonetheless part of the game. You can crab all you want about guys who predominantly DH not being "real" baseball players. But they're just playing the game within the rules set forth. Even if the people who impose them are idiots. You don't want to let guys like Edgar Martinez into the Hall? Then I want there to be a march on Canton, Ohio and a fervent demand to strip the Pro Football Hall of Fame of all kickers. They only did one thing, after all. Don't penalize Martinez because the DH rule stinks and has made a bunch of "half" ballplayers. Martinez was so good at his half, you almost forgot that he didn't play in the field. Instead, you just couldn't wait till he came up to bat again. Unless you were a pitcher.